In context: Sonos was founded in 2002 as Rincon Audio but changed its name to Sonos in 2004. Today, its products are distributed in over 50 countries with 55 percent of its revenue coming from outside the US. The filing forces the wireless speaker company to bust open its books, offering investors and onlookers alike the opportunity to skim through its financials. In fiscal year 2017, Sonos generated revenue of $992.5 million, good for a 10 percent increase from the $901.3 million in brought in a year earlier, albeit with a net loss of $14.2 million. Things look a bit better more recently, however, as the company earned $655.7 million in the six-month period ending March 31, 2018, an 18 percent increase compared to the year-ago period. The performance resulted in a net income of $13.1 million. Sonos in its filing notes that as of March 31, customers had registered more than 19 million products in approximately 6.9 million households globally. That works out to around 2.75 units per household, confirmation that people who purchase the company’s speaker are likely to continue to build out their array with additional devices. Also of interest is Sonos’ estimate that customers listen to roughly 70 hours of content per month. 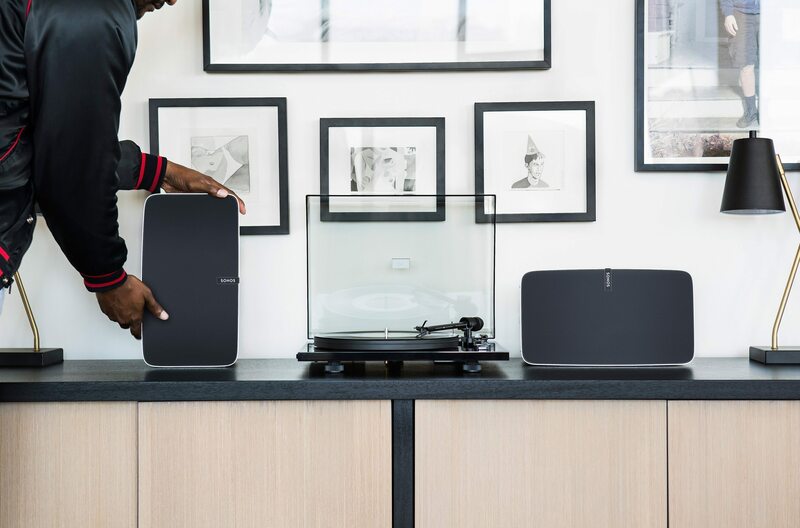 Furthermore, customers listen to approximately 80 percent more music after purchasing their first Sonos device.